Vacationing on beautiful Sanibel Island off Florida’s Gulf Coast, Ellen Bennett has never felt so guilty–or more alive. This wasn’t the way things were supposed to turn out. The 45-year-old successful career woman, wife and mother traveled to the island paradise for solitude and a much-needed break from her family. But a chance encounter with a fellow traveler sparks a powerful attraction, forcing Ellen to make a decision that could change her life forever. Against an idyllic backdrop of white sand beaches, azure waters and lush palms, Ellen struggles with her faith and tries to subdue a firestorm of emotions. David, the father of three young children, confronts the fault lines in his own marriage that lead to a stunning revelation. Their relationship unfolds as David’s family gathers on Sanibel to celebrate their parents’ 50th wedding anniversary. Tensions are running high. David’s mother is worried about her husband’s strange behavior and inexplicable memory lapses. His sisters, Julia, an over-achieving corporate exec, and Maggie, a hard-partying renegade who just announced she’s gay and leaving her husband, haven’t spoken for months. On the island, a small congregation battles to save a beloved seaside chapel to make room for a lavish oceanfront mansion. Ellen takes up the cause when she meets 76-year-old Liz Taylor, a vivacious widow with a sparkling wit and a secret passion of her own. 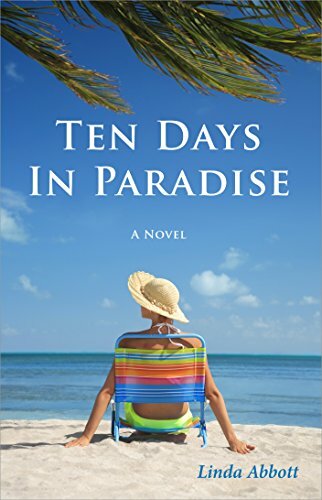 A compelling and heartfelt novel, Ten Days in Paradise masterfully explores the inner landscapes of marriage and family relationships.